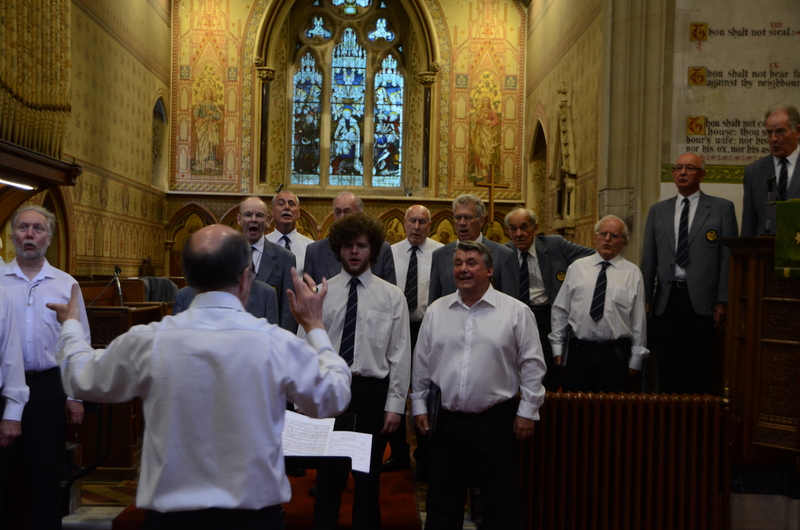 On Midsummer’s Eve three choirs joined forces to raise funds for the churches of Malvern, and to celebrate the power of music in building communities. 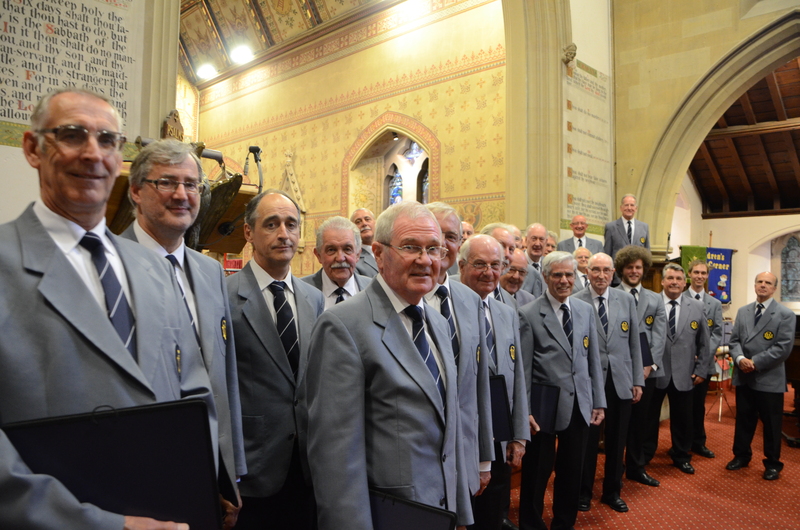 Malvern Male Voice Choir was joined for the second time this year by the young voices of St. Joseph’s Catholic Primary School, and by Holy Trinity’s very own Junior Choir in this fundraising concert which marked the end of their 2013/2014 season. This was a concert in which the spiritual played a significant part, in a wide range of styles. Holy Trinity Junior Choir, led by Janet Burley, demonstrated the power of quiet simplicity as they exhorted us to “Listen” to the Spirit, and sought the “Silver Trumpet” in dynamic gospel style, later bringing great spirit and rhythm to their performance of “Aardvarks on the Ark”, just as St Joseph’s choir had to their Gospel Medley. Providing a reflective and inspirational note within the concert, these youthful voices testified to the power of music to build communities, as they brought their families and friends together to experience a full evening of song and celebration. Led in arrangements of nursery rhymes and whimsy by headmistress Ann Marie Wallbank, who noted that it “really lifts the children to sing with Malvern Male Voice Choir”, St. Joseph’s Catholic Primary School Choir’s final solo number emphasised the importance of self-belief for those about to head into a bigger world, while tying to the musical theme through its powerful ballad style. 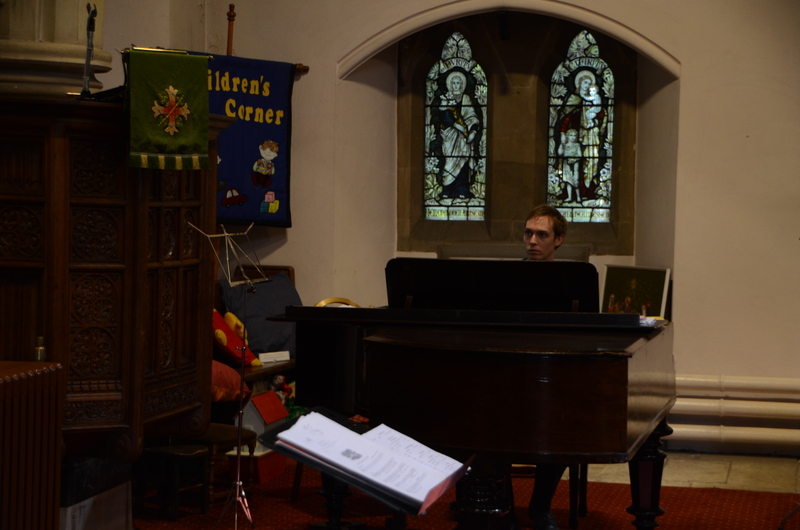 Guest soloist Vicky Colbourne joined the choirs for what may be her last performance as part of the local musical community before she heads off to London to study for a Masters Degree in Speech and Language Therapy. 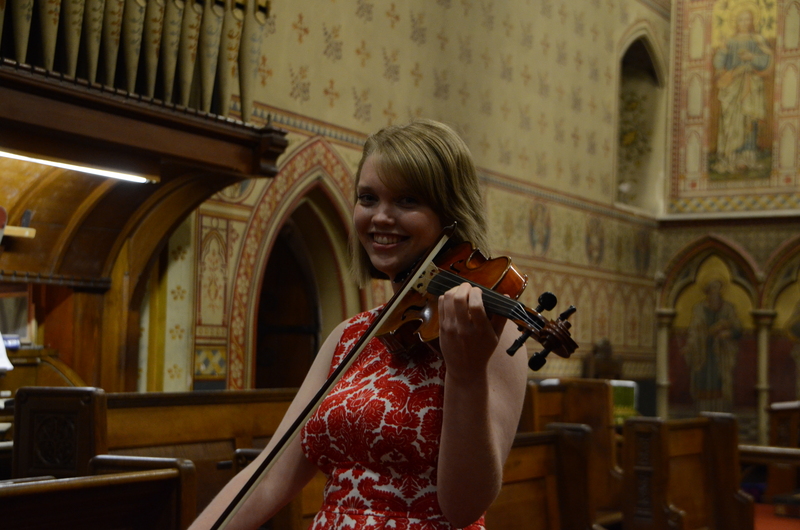 Vicky’s involvement in the musical life of Malvern reaches back to her school-days as the leader of the Chase School Orchestra, and Holy Trinity Junior Choir, and includes time spent playing in the Worcestershire Youth Orchestra and York University Symphony Orchestra, and singing in female vocal trio “Trinitas”, Holy Trinity Senior Choir and York University Choir. Her skilful and evocative performance brought together the brightness of a summers’ evening in the third movement of Vivaldi’s Violin Concerto in A Minor and the exhuberant, reflective spirit of Elgar’s Chanson de Matin, tempered by the haunting melody of the Theme from Schindler’s List. Welcomed as we were by compere Lynn Nichol, and entertained as we had been by all the choirs and musicians of the evening, it was only fair that the audience become a part of this musical community, and so it fell to us to join the choirs in singing a melding of two colourful classics: Wonderful World and Somewhere over the Rainbow. Finally, all performers joined in a wonderfully evocative, bright and cheering performance of “The Hills are Alive” and “Do Re Mi” from The Sound of Music, inspired of course by the image of Julie Andrews atop the Malverns. Thanks are due to all the performers, their friends and families who supported them; to the Vicar, Churchwarden and PCC of Holy Trinity; the Refreshment and Front of House teams; Billy Colbourne, Gareth Brown and Martin Wheeler for print and marketing; but most especially to the audience who spent their Midsummer’s Eve in such musical company. Thank you.